Carcinogen contaminations in the food chain, for example heavy metal ions, pesticides, acrylamide, and mycotoxins, have caused serious health problems. A major objective of food-safety research is the identification and prevention of exposure to these carcinogens, because of their impossible-to-reverse tumorigenic effects. However, carcinogen detection is difficult because of their trace-level presence in food. Thus, reliable and accurate separation and determination methods are essential to protect food safety and human health. 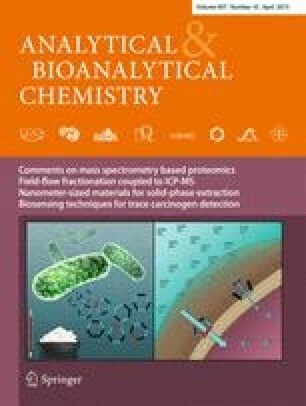 This paper summarizes the state of the art in separation and determination methods for analyzing carcinogen contamination, especially the advances in biosensing methods. Furthermore, the application of promising technology including nanomaterials, imprinted polymers, and microdevices is detailed. Challenges and perspectives are also discussed. The research was supported by Project of the Ministry of Science and Technology of the People’s Republic of China (No. 2012BAD33B08).